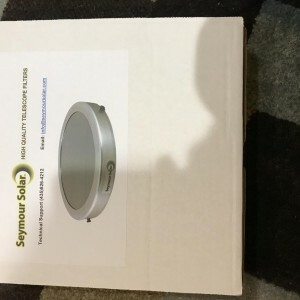 Seymour Solar glass full aperture solar filter for sale. Got this as part of a package deal with AR6 refractor but have a PST so don’t really see myself using it. Previous owner said he used it once in August 2017. Looks great, I don’t see any cracks or scratches or damage. Retails for $112. Will sell for $50 plus $8 shipping CONUS. Have a pic of the actual filter but file size was too big. Happy to email if desired. 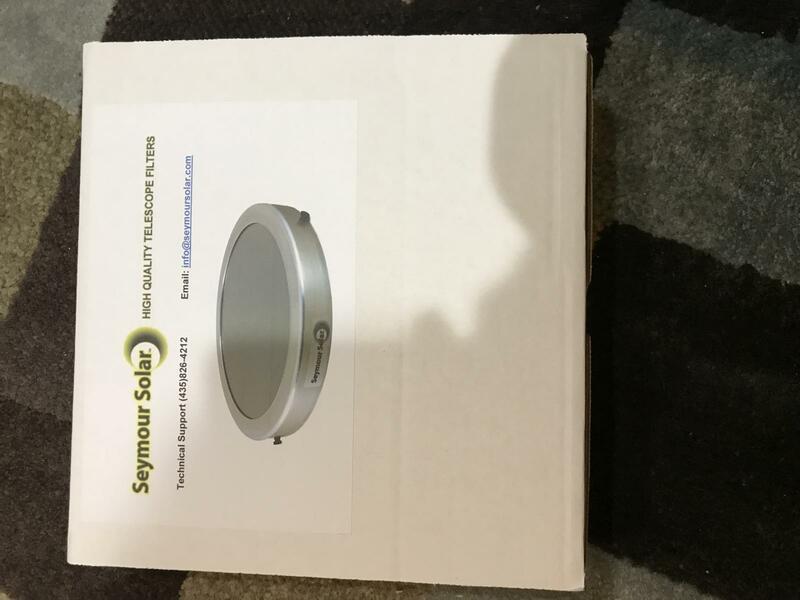 Seymour says their filters will fit tubes 3/8” less than the size of the filter so you could use this on a scope with an 8” tube opening up to about 8.3”.